A professional-grade multi-task tool with lightweight ergonomics and ECOSPEED-enhanced efficiency. The 2-stroke KM 94 R KombiMotor, combined with any of 14 optional tools, offers landscape professionals an efficient multi-task system to meet the versatile needs of their clients' yards. The lightest weight model in the STIHL KombiSystem line-up, the KM 94 R weighs in at a mere 8.8 lbs. The ergonomic loop handle, coupled with an excellent power-to-weight ratio, delivers the maneuverability to navigate obstacles while helping reduce user fatigue. The multi-task concept provides convenience and efficiency through reduced maintenance and storage - one engine for many tools and tasks. * The innovative ECOSPEED throttle set wheel allows the user to set the most effective throttle speed for a particular job and attachment. 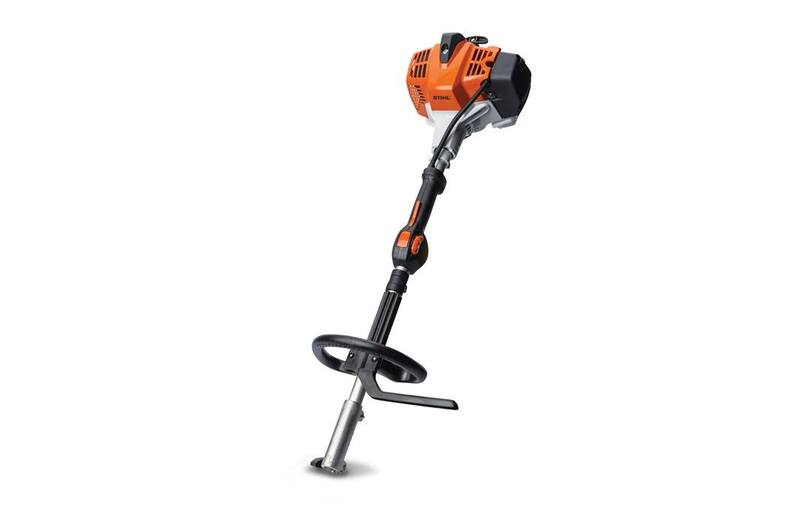 Now it's even easier to love the space-saving, cost-saving STIHL KombiSystem.